five star hotels final gst rates are 28% or 18%. Star rating of hotels irrelevant for determining the applicable rate of GST. In this context, it is hereby clarified that accommodation in any hotel, including 5-star hotels having declared tariff of a unit of accommodation of less than INR 7500 per unit per day, will attract GST @ 18%. 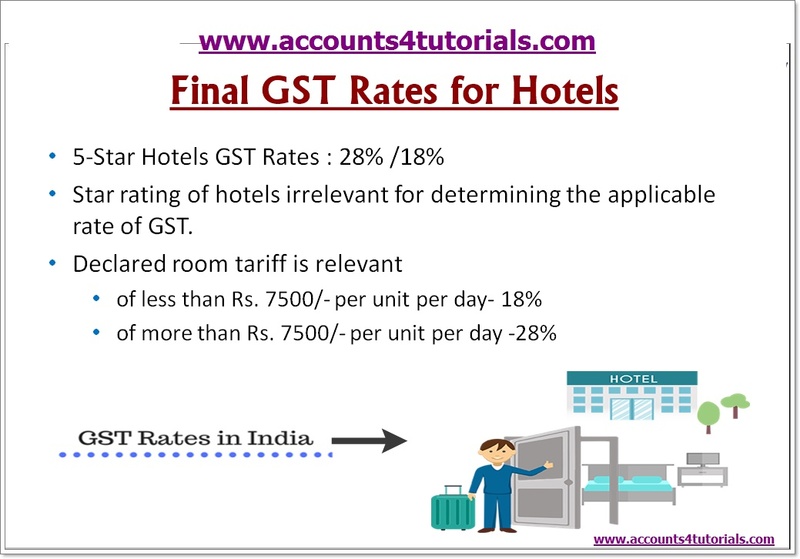 Star rating of hotels is, therefore, irrelevant for determining the applicable rate of GST.